The pre-race coffee or espresso shot is a ritual for many runners—the reliable performance-boosting effect of caffeine is just too good to pass up. We talked to Sweat Science author Alex Hutchinson about it, and he noted that taking caffeine is one of the best, legal ways to improve performance with relative ease. Once your digestive system gets over the increase in productivity (if you catch our drift! ), and you are able to time it out correctly to get the maximum performance for you and your race, taking caffeine as a pre-race performance enhancer is pretty common for most runners, but what about other benefits of consuming caffeine? Scientific papers and articles in popular running publications continue to detail why and how caffeine can shave off time on race day, but relatively little attention has been paid to whether caffeine can impact your recovery after a hard workout or a race. We wanted to know more about the effect caffeine has on recovery AFTER hard workouts (does it get even better? ), so we dug into some deep research. 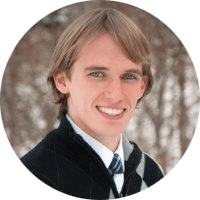 In this post, we will share what we found, and then give you 8 other reasons you should include caffeine as a regular part of your diet, even if you are not a coffee drinker. Can Caffeine Following a Race or Hard Workout Dramatically Reduce Recovery Time? We are going to feel tired following a hard effort, that is a given. We know caffeine will give us a temporary little buzz to forget just how tired we are, but could it do more than just trick us into feeling better? The direct effects of caffeine on your ability to bounce back after a tough training session have not been studied in detail, but one small study from researchers at the University of Georgia hints that there might be some benefit. In their 2007 report, Victor Maridakis and colleagues had nine women undergo two strenuous tests designed to induce quadriceps muscle soreness.1 Before one trial, the women were given a moderate dose of caffeine, while before the other, they were given a placebo. An hour after the exercise protocol, the women’s maximum strength and subjective soreness levels were tested. Maridakis et al. found that caffeine produced a significant drop in subjective soreness levels following the exercise protocol, but no change in actual muscular strength levels—both groups were still weaker after the workout. Though interesting, Maridaki’s work needs to be replicated in larger, better-controlled studies before we can conclude that caffeine definitely reduces muscle soreness after a workout. The scientific research is also conflicting on whether caffeine helps your muscles refuel their carbohydrate stores after a long workout. During the recovery period, the men consumed either a highly caffeinated sports drink or one sugar but with no caffeine. All of the men completed the protocol twice. Taylor et al. found that, when the men had consumed the caffeinated sports drink, they all performed better in the interval workout to exhaustion—on average, they lasted 50% longer after drinking the caffeinated sports drink! Petersen et al. followed a very similar protocol: their study consisted of seven men who completed a carbohydrate-depleting protocol in the morning, followed by a four-hour recovery period in which they drank a sports drink either with or without caffeine. Instead of doing a second exercise test to observe the effects of caffeine, the researchers took a muscle biopsy to determine how much muscle glycogen the men had regenerated during the recovery period. Again, each man completed the protocol twice and in a random order, so the researchers had data on glycogen recovery rates for every participant in both conditions. Pedersen et al. found that muscle glycogen was 66% higher when the men had consumed caffeine—quite an impressive result. Are the effects of caffeine all positive? Nevertheless, the results of Pedersen et al. and Taylor et al. warrant further investigation. Pedersen’s study (as well as Taylor’s) both used very high dosages of caffeine—8 mg of caffeine per kg of body weight, which comes out to five and a half cups of coffee for a typical 150 lb runner! In contrast, Beelen et al. used a more reasonable dose of 1.7 mg per kg—just over one cup of coffee. This may also explain the difference in results. The research to date on caffeine’s effect on recovery is somewhat promising, but larger studies with more realistic dosages are needed to confirm these initial results. Caffeine’s ability to reduce soreness or speed glycogen synthesis is unclear. Keep in mind that high doses of caffeine can affect your sleep several hours later, so don’t be too eager to guzzle down several cups of coffee after an afternoon or evening workout. Also keep in mind that caffeine can’t boost your glycogen synthesis if you aren’t eating any carbs, so be sure to get a post-race meal in too. There’s no evidence whatsoever that moderate amounts of caffeine impair your recovery, so you don’t need to feel guilty over your espresso habit when you’re in heavy training, just consider the timing to make sure you are not sacrificing sleep. What are the Other Benefits of Caffeine for Runners? So now we know that science has found, caffeine can reduce the time it takes to bounce back from a hard workout, especially if our glycogen stores are depleted, and participants who took caffeine had less soreness in their muscles than those who did not. 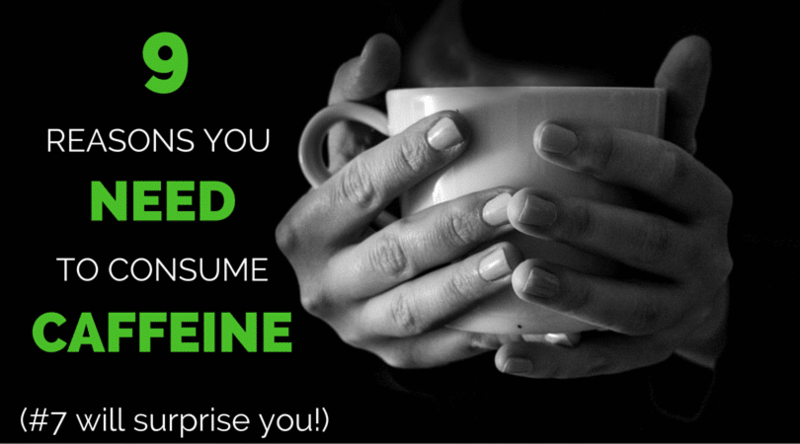 But there are some side effects that counter those benefits, so why else should we take caffeine into our routines? You know that part in a race or workout where those mental demons start to tell you to slow down? The part where you start to wonder why you put yourself through this? That means you can keep running harder for longer, and can fight those negative thoughts off, to keep moving forward, and chase down that PR! That in itself is enough reason for most runners! Part of the reason we run is to maintain a healthy weight. Most runners see weight loss as one of the major reasons for starting to run (even if that is not the reason we get hooked!). Caffeine stimulates the central nervous system which increases the oxidation of fatty acids and raises your metabolism to help your body use fat as a fuel source. In addition to using up that fat on a day to day basis, it also allows your body to conserve glycogen, which can make a big difference in races like the last 10k of a marathon and a large part of your race in an ultra marathon. 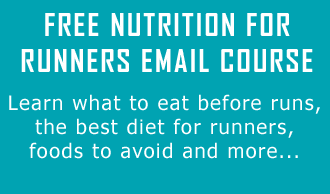 We have already covered how unfortunately, as much as we like to think it could be possible, no matter how fast of a runner, we cannot run from bad diet. It is important to eat the right foods to not only fuel us to complete our training, especially if following a marathon training schedule, but to feel good about our bodies. Sugar is especially harsh on our systems. Even though we recently found that runners may be able to get away with some additional sugars because of the running, if it is not a natural source, you could be putting your long term health at stake. This puts sweet toothed runners at risk of type II diabetes. Although the right food is the most important way to reduce your risk of diabetes, caffeine can actually help to reduce risk further. One study even found that every additional cup of coffee consumed in a day was associated with a 7% reduction in the excess risk of diabetes! Enhanced reaction time and improved neuromuscular coordination. If you are training for shorter distance races, or you are adding a lot of explosive workouts, you will be happy to hear that your reaction time is improved by caffeine, but it is not just a benefit for those in the shorter events. Caffeine improves neuromuscular coordination, which allows your leg muscles to fire faster and more forcefully. This makes you more efficient, and being more efficient means you can run faster with less effort. That is not exactly a setback for a runner! Cyclists who ingested caffeine completed 15-23% more work in hot weather than cyclists who used either water or a traditional sports beverage. The cyclists who used caffeine had a lower level of perceived exertion. Now, we already stated the benefits for those in the heart of marathon training, but what about runners in 5k or 10k specific training? Runners who used caffeine prior to their 5k race improved by 1.0-1.1% (this means a 20-minute 5k runner would run 10-13 seconds faster just by using caffeine). Eating well gives you a first class ticket to good health. We have covered what the best recovery foods are to speed healing, especially if you are injured or on the verge of overtraining, but we did not mention the good effects coffee has on health. Intense aerobic work creates a large amount of oxidative stress, a chemical reaction in your body which creates inflammation and suppresses your immune system. Antioxidants are one way your body can overcome that stress, and change how your body reacts to one of those intense stresses you may occur during your training. One study even found that coffee contained more antioxidants than any other dietary source! An argument could be made that coffee may be the healthiest drink there is. Multiple studies have concluded that your risk of liver cirrhosis can be significantly reduced by drinking coffee regularly. Researchers have found that there is an ingredient in coffee that protects against cirrhosis. Studies have concluded that vigorous exercise, such as hard running running, can raise transaminase liver enzyme levels to fight inflammation, the coffee can give your liver a little extra help to fight the inflammatory response. Just how much do you need? We have a caffeine calculator to tell you exactly how much you need based on your individual numbers and background, but if you need a more general guide, our caffeine for runners post should break it down to where you can get started. Coffee isn’t just there to warm you up and give you a morning jolt, it is actually going to improve your health and improve performance! Regardless of where the science goes, you shouldn’t be too worried—what’s the most popular post-workout beverage in Kenya? Maridakis, V.; O’Connor, P. J.; Dudley, G. A.; McCully, K. K., Caffeine attenuates delayed-onset muscle pain and force loss following eccentric exercise. The Journal of Pain 2007, 8 (3), 237-243. Taylor, C.; Higham, D.; Close, G. L.; Morton, J. P., The effect of adding caffeine to postexercise carbohydrate feeding on subsequent high-intensity interval-running capacity compared with carbohydrate alone. International Journal of Sport Nutrition andExercise Metabolism 2011, 21 (5), 410. Pedersen, D. J.; Lessard, S. J.; Coffey, V. G.; Churchley, E. G.; Wootton, A. M.; Watt, M. J.; Hawley, J. A., High rates of muscle glycogen resynthesis after exhaustive exercise when carbohydrate is coingested with caffeine. Journal of Applied Physiology 2008, 105 (1), 7-13. Beelen, M.; Van Kranenburg, J.; Senden, J. M.; Kuipers, H.; Van Loon, L. J., Impact of caffeine and protein on postexercise muscle glycogen synthesis. Med Sci Sports Exerc 2012, 44 (4), 692-700. Burke, L. M., Caffeine and sports performance. Applied Physiology, Nutrition, and Metabolism 2008, 33 (6), 1319-1334.